Alcohol is the glue that keeps families together through the holidays, and Thanksgiving is no exception. 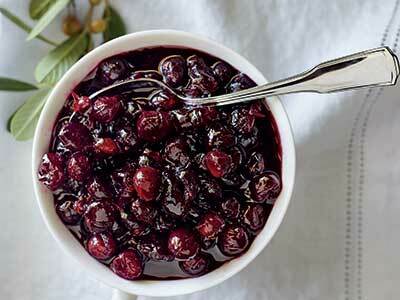 Honor this sacred tradition with this delicious spiked cranberry sauce. 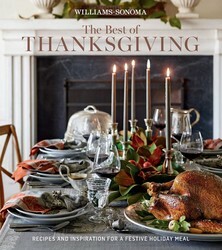 Try this recipe and more in Williams-Sonoma: The Best of Thanksgiving. In a large saucepan over medium-high heat, simmer the port until reduced by half, about 5 minutes. Add the cranberries, sugar, orange zest, orange juice, lemon zest, and cinnamon stick. Bring to a simmer, stirring occasionally, then reduce the heat to medium-low and simmer until the cranberries have burst and the juices have reduced and are thick enough to coat the back of a spoon, about 15 minutes. Let the sauce cool to room temperature, then cover and refrigerate until ready to serve. Discard the cinnamon stick and bring the sauce to room temperature before serving.